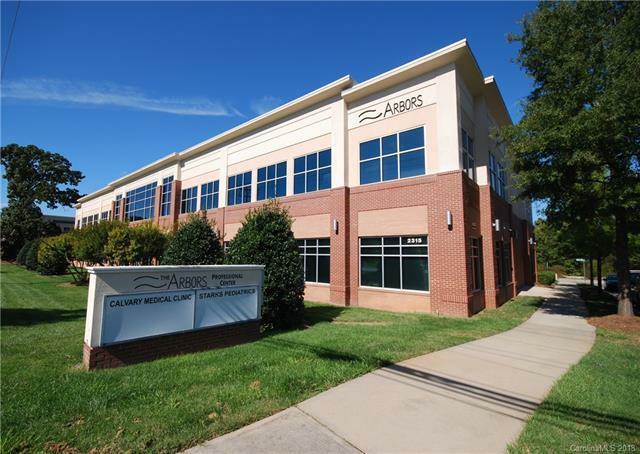 Class A Office condo at The Arbors Professional Center servicing the University Area available for Lease beginning 1/1/2019. This second-floor unit features 6 Offices, Reception Area and Break Room/Kitchenette. Beautiful lobby, ample parking, and bathrooms at each story. Perfect mix of mid-sized offices and larger offices ideal for shared workspaces. Numerous pieces of quality office furniture can convey with the lease. Zoned MUDD-O for array of users including general office and medical. Ideally located directly on W. Mallard Creek Church Road just one mile from I-85 (Exit 46). 2.5 miles from I-485. So many fantastic restaurants within 1/2 mile like Hickory Tavern, Zoe's Kitchen & others. Modified Gross Lease. Offered by Modern Brokerage, Llc. Copyright 2019 Carolina Multiple Listing Services. All rights reserved.